Nov. 26, 2017 8:50 p.m. The stranded fuel barge off the coast of Bella Bella is no longer a search and rescue mission. A commercial tug, the Gulf Cajun, secured the barge at approximately 11 a.m. and took the fuel carrying barge, Zidell Marine 277, under tow. The barge has been moved one nautical mile away from the shoreline. “They are currently underway north to Milbanke Sound. This area was chosen because it’s sheltered so it’s a better sea state,” said Lieutenant Navy Melissa Kia with Joint Rescue Co-ordination Centre in Victoria. On Sunday night, a fuel barge carrying millions of litres of fuel and was in distress in rough water with gale force winds. On Monday, winds decreased to 20 knots with the seas at two metres. The 420-foot fuel barge, Zidell Marine 277, broke free from its tug, Jake Shearer, about 45 kilometres southwest of Bella Bella. It was carrying 3.4 million litres of diesel and 468,000 litres of gasoline. The Canadian Coast Guard vessel Gordon Reid was deployed and the Cape St. James was en route. Three other tugboats that were nearby have also offered assistance, Moores said. “At this point, we’re assessing the situation to determine the best course of action,” she said, adding “there are some pretty strong winds” in the area. Asked about potential oil spill response resources, Moores said the Coast Guard is setting up a response centre. “We’re dispatching five vessels from Prince Rupert: the Eagle Bay, the Gill Sentinal, the Kaien Sentinal, one workboat and one booms kit,” said Michael Lowry, communications for Western Canadian Marine Response Corporation. B.C. Spill Response posted on social media that there are no reports of a spill, though it is preparing to respond. 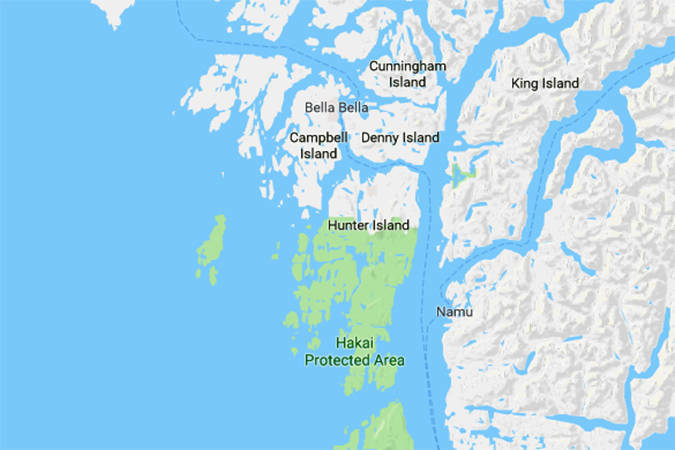 Heiltsuk First Nation Tribal Council, of Bella Bella, sent out a news release saying it is in close contact with the Coast Guard in Prince Rupert to monitor the situation. Transport Canada has taken the lead in the investigation, and will decide which port to take the barge to. How do crews deal with roadkill?